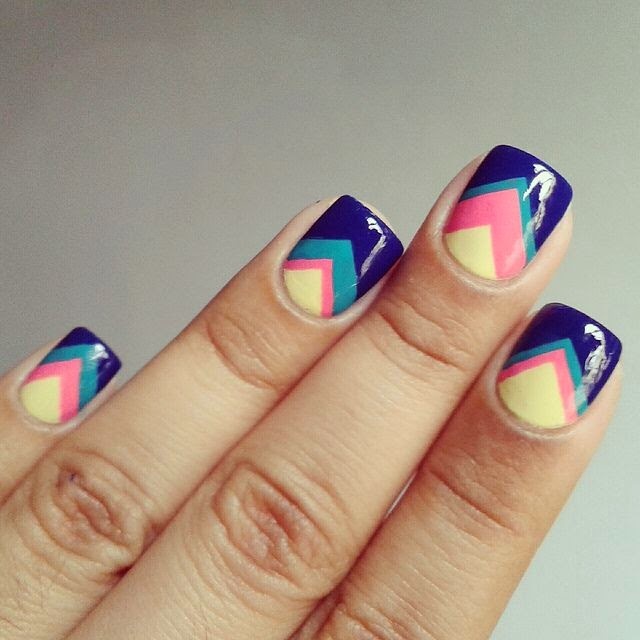 Modern Beauty Girl: Spring Nail Inspo! So my last couple posts have been on my spring hair and makeup inspiration so this one will be on my nail inspiration! I'm really excited to show you my favorite styles so let's get started! I've been loving using colors and this one seems simple enough to do! 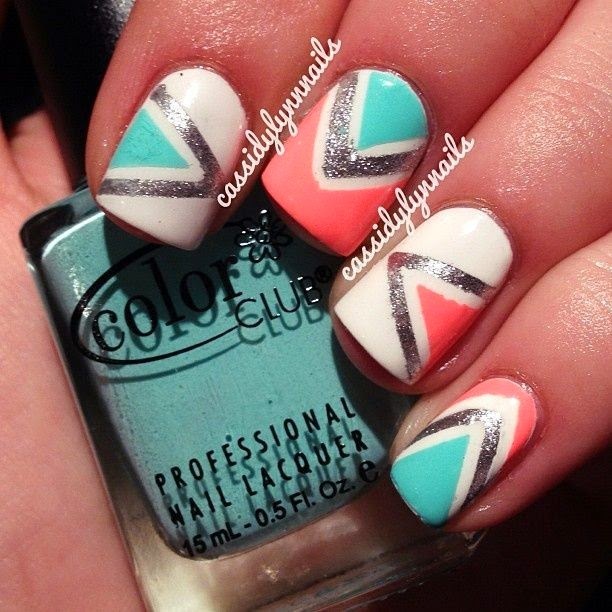 I love the geometric print of this and I love how you can pick and choose different colors! I might choose mint, sky blue, baby pink, and lavender for a more spring appropriate one! This one combines the geometric prints from the first picture with the sparkles from the second! This one looks really cool and I love how they switched up each finger so they weren't all uniform. So that was my spring nail inspiration! Let me know what your favorite picture was and don't forget to follow me on bloglovin! thanks Charlotte! and sometimes if I want it to look really professional, I use tape to get clean lines! Thanks and I'd love to check out your blog!